Brant Florist Diamond Award 2016! 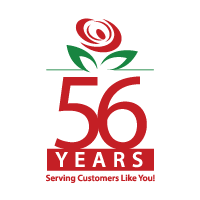 As a family-run business we’re proud to be providing outstanding products and service for 54 years and still going strong. We’re offering beautifully crafted and arranged fresh bouquets for every celebration or occasion, and continue to come out on top as Burlington’s go-to for sending out arrangements to loved ones. This year, we were once again rated best in the florist industry in the Halton Region’s annual Readers’ Choice awards for their superior quality of product and service, 22 years in a row! The Readers’ Choice awards are a way to recognize the people, businesses and organizations that make the Halton region bustle and thrive. For the past 22 years, the awards have given the local community an opportunity to show their support to the wonderful businesses within the towns that make up the Halton region. These are the enterprises that brand Halton as an ideal place to live and visit. Several of our happy customers write personally to one of our founding family members, ensuring that quality assurance and customer service is directly in the hands of the family. Thank you to the Burlington community for voting us as your favourite florist again in 2016!